At Intuit QuickBase’s Fast Track blog today, I talk about what managing up is and isn’t (it’s not about manipulating your boss!) and how to do it well. You can read it here. I feel like this is applicable more for an inexperienced boss than a bad one that probably won’t change their spots – mostly because a lot of the advice doesn’t work if you have a boss that basically changes her mind all the time. I have this – my boss’s boss really. We had a whole discussion about using a particular word in a marketing document – this word vs. that word – and she overrules me and tells me to do things her way. Not a month later, she meets someone random person who uses THAT word instead of THIS word (that she chose!) and she’s asking me why we don’t do the same thing as them. More importantly, we can spend months as an organization determining our priority is to focus on chocolate teapots, only to have her turn around and ask why we aren’t focusing on licorice teapots because it works for THOSE people. You can’t get aligned, pay attention to what she cares about, etc. if she doesn’t know her own mind, or changes it too frequently to do those things. And feedback is pretty tricky too, since it often gets into why I can’t read her mind about how she’ll change it next. There are certainly some bosses so bad that the best thing you can do is to get out. But in a situation like the one you’re describing, you’d calmly and non-accusatorily say, “We were doing X because that was the decision we’d made together at the ABC meeting last month. Would you like us to do Y instead?” And then you do Y if that’s what she wants; it’s her call. Your role is to calmly and nicely remind of the context, and then roll with the punches if she wants to change it. If you don’t like working that way (I sure wouldn’t), then you look for another job. Managing up isn’t about making your boss a different person; it’s about making both your lives easier while you’re there. Actually what I do is wait and see if it comes around again. Depending on how much it sticks in her head, I can kind of gauge “priority” or something akin to it. It wouldn’t work with all personalities – for many it would be pretty risky – but seems manageable with her. Yes, I use the time solution often. Works well for those bosses who have many flights of fancy…. 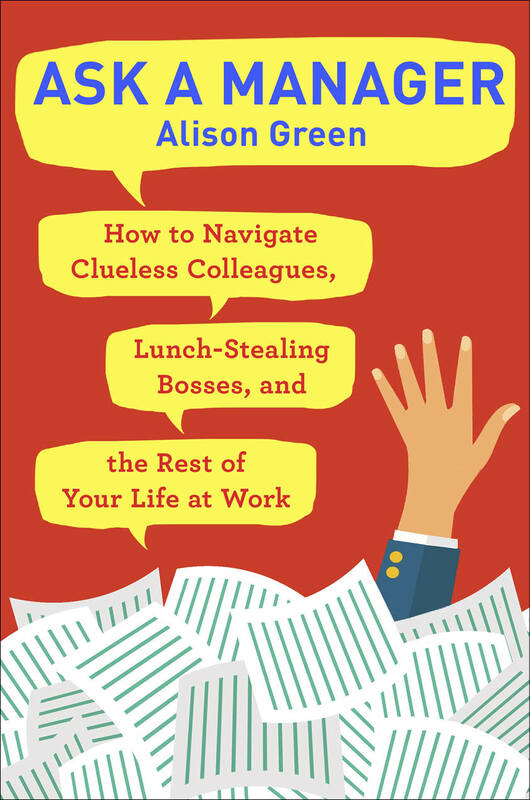 Alas passive aggression turns out to be very functional as a response in many organizations. In my early years in the workforce I would get all wound up about some big change that made no sense, or some new demand for documenting this or that — but I learned over time that most things sort of fade away, especially enthusiasms of managers who just came back from a conference or talking with their old frat buddy. I learned to satisfice until it was clear what things were really going to happen and which things were not. I don’t like this style of management and tried not to be that way myself but ‘waiting it out’ works so well so often that it should at least be in everyone’s arsenal. Agreed. Waiting it out is sometimes the best manage up tool you can have. I do this with my boss, too. I’ve worked with him long enough to know when something is really important, but if he throws something new into the mix that doesn’t seem very high-priority, I’ll wait and see if he mentions it again before I really do anything about it. Of course, if he mentions something having a timeframe, I know that he’s serious and I do it. But sometimes things that he mentions are just a one-off comment that he’s throwing out there apropos, perhaps, of a conversation that he’s just had or an article he’s just read. I haven’t been burned yet by this method of filtering what he mentions vs. what he really wants. Five years and counting . . .
Ha. That reminds me of a few months ago when I was standing with my boss and his boss, and they were trying to figure out how to arrange course books on a shelf for review by a university accreditation team. My boss told us that he was opposed to one particular way of organizing them, and went on for about 2 – 3 minutes with the why’s and wherefores regarding that decision. So we discussed a few other methods, and after about 5 – 10 minutes of discussion, my boss says, “So, why can’t we do it [this way that I just said I was opposed to]”? Me: ” . . . [confused pause] . . . . ummmm . . . because you said so?” Both bosses laughed and we actually ended up going with the original adamantly-opposed scheme. I think you just have to shrug and move on when these things happen, because happen they will. As a manager, one thing I’ve had to work on is what you’re describing: changing my mind after I was vocally opposed to something. It’s an ego thing; I didn’t want to back down and be “wrong.” But as you experienced, it can be a good thing when the boss can admit that their way was the wrong way. My boss always comes out very strong about whatever he initially decides. He’s a real action guy, so he always comes across as really sure of and adamant about whatever he initially proclaims. A lot of people are intimidated and are stopped right there (I think that’s actually how he has such a good track record of getting what he wants — many people shrink in the face of such vigorous certitude). However, he really does listen if someone brings information regarding his decision to his attention. His default is gung-ho, let’s-do-it-my-way, and he gets a lot accomplished that way. He’ll totally take whatever he can get if he meets no resistance. What I really love about him, though, is his willingness to consider other viewpoints if someone is brave enough to engage him on that level. I had a similar situation in an internship I had many years ago. It was an editing internship in publishing, and consistency is THE most important thing when you’re editing. My supervisor (who would review my edits and make corrections) was on a weird power trip. When I followed the house style guide, she changed it. I asked why and she said, “That’s old; we don’t follow it anymore.” When I did something her way next time, she’d correct it again back to the other way. Rather than call her out on being inconsistent, I would always ask, “Can you help me understand how this situation is different from the previous situation?” Eventually she blew up at me and told me to stop questioning her judgment. After sleeping on it, I realized that her biggest thing was that she wanted to feel smart and important and drawing attention to her mistakes was undermining that, so I went back to her with the tack of “You’re such an expert, I just want to learn everything I can from you, I’m sorry if that comes off as too many questions.” She totally ate it up and was super nice to me and praised my work the rest of the summer. Heh. This explains why my boss just told a coworker and I that we should be more like our most junior team member. She’s intimated by him, so she never pushes him for clarification or points out inconsistency. She comes to me with all her questions instead. I’m afraid I don’t have the tolerance to try your strategy with this guy. One of us is going to be gone within the next six months, that’s for sure. My definition (as a manager) of managing up is “No Surprises”. Good or bad, keep me in the loop, let me know when you are stuck, and tell me when you have a win. Never assume that I know. When people have followed this with me, they have pretty much full autonomy to do their jobs as they see fit and are empowered to do what needs to be done. I am totally confident that they are more than competent and I won’t find myself being blindsided by an angry management team member because I wasn’t in the know. This does lead to a higher level of accountability, and any ‘weeding out’ has occurred because someone couldn’t work at that level. Of course, I know that not all managers are like this (and I am definitely not a great manager but I try really hard). 1. Don’t let him get caught by surprise. 2. When bringing a problem to the surface, if possible, know how it happened, how we’re going to fix it, and how we’re going to prevent it in the future. a. If collecting this information would lead to a delay that would allow him to be caught off guard, skip it and get it later. 3. When trying to explain or justify anything, data and visual aids go a long long way. I operate with pretty much total autonomy, it’s great! This. Though I find that employees who have no problem talking to me get anxious when I tell them I will be informing my supervisors. It should be “no surprises” all the way up the chain. I love this. It’s so in keeping with the work culture I’ve seen where there is constant communication between levels. Following through with real trust, autonomy, and decision making can do wonders to assure people that problems are there to be solved, not scapegoated. Thanks, Alison. This is really smart and helpful for me. When my job is stressful, it’s often because of misaligned or unclear expectations. These are good strategies for making sure that my (generally great) boss and I are on the same page. One thing I’ve been wondering about, and I’d love advice is: what do you do when your manager can’t make a decision? I had a Bad Job experience where this was a huge problem; my boss hired me to be an expert and then kept changing her mind back and forth and wouldn’t take my input into consideration. She switched back and forth from Option A to Option B that I eventually just did both of them simultaneously, so when on Week 1, she’d say “stop doing Option A, do B”, I had B already up to date, and then on Week 2, switch back, and Week 3, switch again… We never got a final product and I ended up leaving the job. Since then, I’ve tried to fix the problems with my performance in that job, but keep coming back to: my boss wanted me to read her mind, so keep lines of communication open, ask for clarification, and basically just always prompt for things. But the indecision? The part where I got blamed for it? My Next Boss also had that problem and just not making a decision about aspects he micro-managed , but at least it was a much less stressful environment and he only micro-managed some of the things, not all of the things. So, how do I “manage up” in these cases? I’d really like suggestions. I’m at Great Job now, but I know this will keep coming up. How do I assist my manager in making a decision, when the indecisiveness is causing me SO MUCH REWORK and making me look bad productively and on my performance plan? I guess if this were me, I would try to get something in writing. If you are having a verbal conversation, would it be helpful to recap it in an email and say that you just want to confirm that you are on the same page? I actually have asked employees to do an email recap if I’m not really sure that we are tracking together. Sometimes we are tracking, sometimes we are not, and sometimes by writing it up they think of great additions (or deletions) that we didn’t cover. Follow-up e-mails are totally a lesson learned there, along with taking informal minutes and sending them out. Even if it’s a three-person meeting, jot down what was decided and what the action items were (if any) and send it out. SO HELPFUL. The job was terrible, but I did learn some important lessons about How Not To Do Things. I would also advise learning to give up — as defeatist as that sounds. It’s an important skill to have. I had a former boss who was a struggle. My job required her participation, active engagement, and approval. I got none of these. She simply wasn’t interested in the work my department did, and she didn’t want to learn either. If she reported to me, it would have been so easy to deal with. The whole thing was a set up for failure too. I couldn’t get any bonuses or raises because I had few substantive results to show for it because my boss would never approve any major projects. Giving up absolutely has its place. That’s when you go into a holding pattern while you look for another job. You just try to keep things steady (that is, don’t get in trouble with boss as much as possible, do what you can, etc.) until you can get out. Knowing when to quit trying is very useful and something few people actually give thought to because I think, at least in America, we’re a culture of everything has a solution if you just try hard enough damn it! Truth is not everything does have a solution and sometimes the more you push for one, the less productive you become and/or the less you care. Knowing when to drop your end of the rope and walk away is very important. I believe in the axiom “You learn much more by losing then you ever do by winning.” So while Snarkus Ariellius wasn’t at fault in this instance, they were in a losing position since they’re boss’ complete lack of interest prevented them from succeeding in their job. There were plenty of good lessons to be learned to be taken to the next job where success was actually possible. I recently tried to help my boss land better job candidates by writing a more customized job description. Since I want to leave, I realized it was in my best interest and boss’s best interest to land someone capable, so I figured I may as well try to help out at least once. Then I ended up overhearing one of the resulting interviews (with same said boss), in which none of the questions were at all related to the job or the candidate’s working methodologies. What I find the most perplexing about all of this? Why ask for help if you don’t intend to use it? Or if you don’t intend to use it, no explanation as to why. I’ve had plenty of ideas rejected but I never felt useless because the person actually told me why it wasn’t possible or feasible. Well the boss didn’t ask for help. When I found out the hiring process was about to get started the same old way, I volunteered to write the job description. The boss was thrilled with what I did. But in hearing the interview I realized just because the description is better, it doesn’t mean there won’t be the same old bumps in the rest of the process. As always, great advice in the article – I just wish we could find a better term for it than “managing up” (which sounds sneaky or presumptious or something). It’s really just being an effective co-worker — adapting to different work and communication styles, making sure you’re clear on what’s needed, etc — except the co-worker just happens to not be a boss, not a peer. I get along with the manager really well. She lets me do my work, work on what I want when I want as long as months end gets done she basically doesn’t care. But the rest of the team is struggling. Her issue, is that she a micromanager especially when it comes to marketing..
And I get all the complaints from my coworkers. I am just tired of it. I feel for them but I feel like there is nothing I can do. I get ask what my tricks are with her (none, her interest just doesn’t lie with accounting) the complaining annoys me because noone speaks up. But at the same time I don’t feel like it is my place to speak up. Is it? I would really appreciate advice! It sounds like the best thing you can do is shut down your coworkers complaints. if nothing else, just keep reiterating that the reason the boss doesn’t micromanage you is because you work on accounting. Hopefully they will get the message eventually. No, it’s not your place to speak up for your co-workers, they need to do that for themselves if they’re going to. 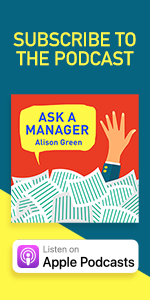 I think you can give them some tips from this site about talking to micromanaging bosses (Alison has covered this before), but you need to make it clear it’s on them to do it or not. If they choose not to, they have to stop complaining to you. You can say that latter part nicely, but say it because they need to know they must do something or not, but continual complaining is not OK with you. At some point, your co-workers will also have to accept the fact that the boss has a stronger interest in marketing than accounting, hence the increased scrutiny. I know that’s not the most useful advice, but it can help provide some context so they at least understand where the extra attention is coming from. Allison’s suggestions are really good. But I think that employees will always struggle with this. That’s because the skills you need to manage-up, are the same skills you need to manage-down in the first place. And if you aren’t the manager (because you wouldn’t perform that role well) then it’s going to be difficult to manage-up. I don’t think that all people who aren’t managers wouldn’t be ok at being managers though. Certainly some people will struggle but part of helping is giving people really concrete steps to take to resolve the issues. I agree with IQ. Additionally, you’d get those people who choose not to be managers because they like their direct work/are afraid of management, but prove their skills in how they communicate with their own boss. These seem like good idea even with a great boss – might as well look good. This is all well and good, but how do we *penalize* managers for bad management practices that are legal? How do we penalize managers for treating workers badly? 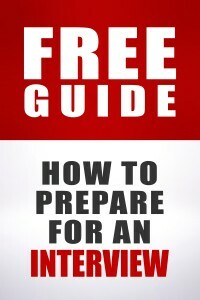 If you have responsibility for said managers, set expectations that they manage well. If you do not, and the managers are bad managers but who aren’t breaking the law, you can only draw attention, carefully and professionally, to the consequences of their bad management. I feel like job to job I’m constantly managing up and I’ve started to wonder if it’s because I’m hard to work with. My current boss thinks I’m too much of a “stickler for the rules” except that’s part of my role in our office, to know the company policies and procedures and apply them to the finance part of our project. I’m only one of 2 people on he whole team that do finance and everyone else is busy diverging the project. So we clash all the time but I can’t just let it go and do what he wants me to, because it’s my job to implement the policies properly. Thankfully he’s my day to day boss but he’s not my official line manager, who loves he job I do and the understands the challenges with is particular mentality. I can relate to this in my last job. I was actually given the nickname Buzzkill because I was always the one wanting to (insert eyeroll) “follow the rules.” I was also the one who wanted to plan things out instead of doing everything at the last minute and having unnecessary chaos (not a popular opinion either- apparently my boss liked chaos). And I would have to be the one dragging everyone back down to reality when they said “We should do A! And also B! And C sounds great too!” There was me, saying “that would be great fun, guys, but we should probably just do A and get it done really well instead of half-assing our way through all of those, especially since we haven’t even completed X, Y and Z from last year”. Ultimately, I left that job, and am in much better fit for me- structured and planned out well in advance. Manage-up can be bad for business. It focuses employees on doing what will make the manager look good rather than what’s best for the company and its customers. Ideally, what a manager wants, the company wants, and the customer wants should be aligned. Often though, managers want reports to simply help showcase them for their next bonus or promotion – what’s best for the customer is less relevant. The primary focus of a business must always be WHAT’S BEST FOR CUSTOMERS – businesses need to keep this focus clear and simple. Manage-up distracts from this focus and hurts a business when a manager’s priorities don’t align with the interests of its customers.